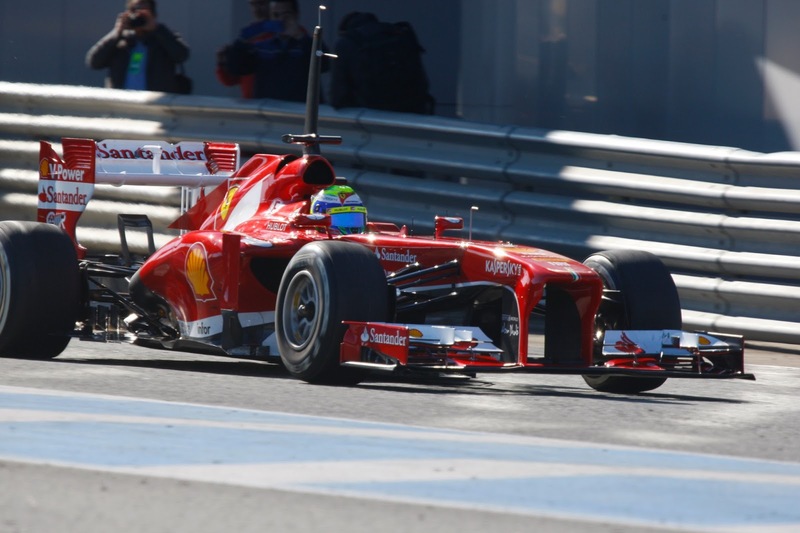 Talking about F1: The F1 blog: F1 2013 Season Preview: Ferrari - One more push? One more push and they're there? Ferrari hasn't won a title since 2008, a drought by its standards, and last year it came oh-so-close to the drivers' title, finishing but three points shy of the summit in a season wherein it wasn't without its share of bad luck, or without conspicuous room for improvement in its machinery. But then again things might not necessarily be that simple for the Scuderia in 2013. In truth, its closeness to title honours last campaign was to an extent illusory. The F2012 was, at best, the third-best machine out there (and some would argue even that assessment is generous) and at no round was it the quickest in dry conditions. Further, it was a debacle out of the box, and although the team was able to correct its most glaring faults in short order, it could never quite escape its inherent flaws demonstrated by the car proving maddeningly resistant to development in the year's latter part. That Alonso missed out on the drivers' title narrowly owed to a measure of circumstance such as a tight year in which no one dominated for the most part allied to mistakes from others, a large dollop of brilliant, tenacious and consistent driving performances from Alonso, mixed in with reliability (Ferrari didn't have a single breakdown in a race in 2012) and the F2012 at least being being fairly flexible in how it looked after the Pirelli tyres. On the face of it it seems astonishing that Ferrari, with all of its resources, should have got it so badly wrong, but there was a partial explanation, and not a new one. Wind tunnel correlation (which had loitered menacingly in the background since early 2011) was again named as the main culprit. And more broadly, for all we talk of 'Ferrari International Assistance' the current formula of testing restrictions could be designed positively to impede the Scuderia. It faces the double whammy of not only being able to use the test track in its back garden but very rarely, but also that, given its long-established reliance on testing, all of a sudden finding itself far behind its rivals in the simulation game which overnight became vital (it makes you wonder why Ferrari ever agreed to it all in the first place). But within all of this there are signs that, just maybe, the Scuderia is finally about to get it right. For one thing, there is something akin to what Sherlock Holmes noted as the dog that did not bark. Once upon a time a season such as 2012 at Maranello (particularly having followed a title drought) would have brought a round of furious recrimination and no doubt plenty of heads on spikes. But it seems, for now, Ferrari has resolved that such lack of patience is usually counter-productive and Stefano Domenicali and Pat Fry have thus been given time to allow plans to come to fruition (such rancour has been left to Mercedes instead). Also, finding itself in a hole regarding its wind tunnel Ferrari finally resolved to stop digging, and now it uses the Toyota facility in Cologne. Technical Director Pat Fry has clearly been focussing on developing the team's simulation tools, while the signing of Pedro De La Rosa (ex of McLaren) shows keenness to develop its simulator to McLaren's standard. The ban on DRS during a qualifying lap will help too, as many theorised that DRS reattachment was a problem for the red cars in 2012, explaining the poor grid slots. And best of all the new F138 looks to be a good one, with aggressively sculpted nose and rear, and lots of nice detail. And while not much can be read into testing yet, we can at least ascertain that the team has avoided the calamity of 12 months ago. Felipe Massa was cautious in front of a microphone at Jerez, which may represent healthy paranoia, but even he admitted that the Ferrari is on a 'different planet' to this time last year. And that is no bad starting point for the team. But the flip side to all of this is that you feel the team is rapidly reaching the point at which no more excuses - particularly those that emanate from its aero department - are tolerable. In other words, this is a season in which Ferrari simply must deliver. Even in the Scuderia's new found calm environment, patience from the likes of Luca Montezemolo and Fernando Alonso will not be eternal. As noted above, the F2012 by rights should have be nowhere near the title fight last year. That it was and in the thick of it owed to a few things, and the major one was Fernando Alonso. It's a sad fact that the days of those in F1 (and some fans, it has to be said) readily acknowledging the merits of others ahead of their own are long in the past. But even with this, and in an age not short on handy drivers, in the course of last season something approaching consensus emerged that Alonso is indeed the driver of the current age. From already high standards long-since established, in 2012 Alonso seemed to find a whole new level of tenacious and consistent dragging of his car ahead of itself, finely-judged, aggressive overtakes and ravenous gathering of points. It was a season of sustained supreme effort that, even without the championship being claimed at the end of it all, will live long in the memory. It's not at all hyperbole to say that it's hard to cite many better years of driving in F1 from anyone ever. So what makes Alonso so good? Well, the man himself seems to have an understanding of it, demonstrated when he commented back in 2009 that 'I might not be fastest, or the most technical but I am consistent'. As Mark Hughes of Autosport noted recently, looking back through Alonso's career there are few of what you might call 'drives from the Gods', akin to Ayrton Senna's at Donington in 1993 for example (Valencia last year perhaps is one, Hungary 2006 possibly too, but beyond that you're struggling). Additionally, most reckon that Lewis Hamilton has the edge on him on pure pace (some believe Vettel has too). But what Alonso does deliver is breathtaking consistency; to demonstrate, if you could select an F1 driver to finish on the podium to save your life who would you pick? Yes, me too. Alonso scores 9.5 out of 10 in every important area of a F1 driver's toolkit, and gives you a 9.5 out of 10 performance virtually every time. This served him extremely well in tight, competitive 2012, and with 2013 expected to be yet more huddled it should suit him even more. And if all of this was not enough right now one suspects that Alonso approaches the 2013 season rather like a coiled spring. Drivers' championship number three is unfinished business for him clearly, and after the Brazil race last November as Vettel and his team in parc ferme celebrated pipping Alonso to claim title number three for themselves Alonso looked on, almost trance-like. Make no mistake, Alonso at that very moment was gathering motivation. That wrath will have been nursed carefully all winter, and it's all going to unleashed in Melbourne and beyond. I wouldn't like to be sharing a track with him this year. 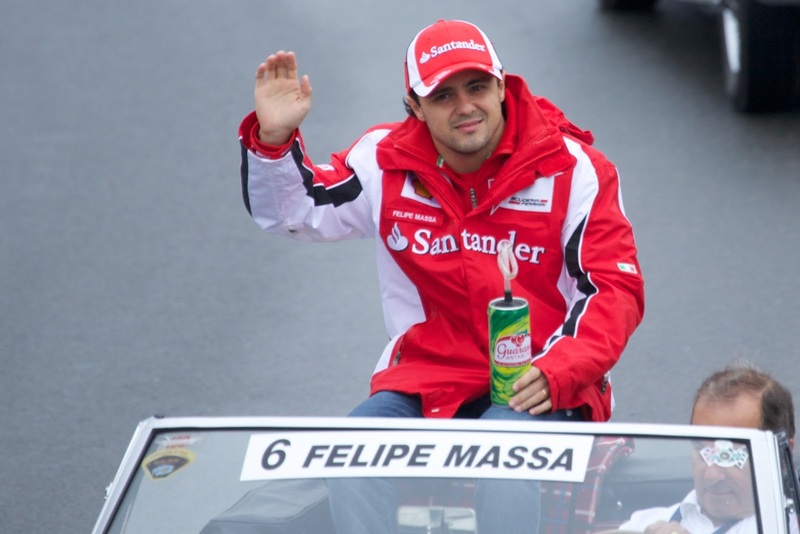 So, Felipe Massa gets yet another year at Ferrari. That he's survived this long (2013 will be year eight as a race driver in red) owes to a few things, including the lack of suitable alternatives emerging (and the injury to Robert Kubica) as well as coming with the all-important Fernando Alonso Seal of Approval. But what also helped was that Massa's 2012 effort was his most worthy in a good while, and he ended the year looking a lot more like the guy who all those years ago was world champion for 30 seconds than he had at any point since his 2009 Hungary accident. Everyone's got their own theories as to why Massa had been struggling, but in my view a lot of it was down to him simply being out psyched by Alonso's performances as Scuderia team mate, both in and out of the car. And in turn, a lot of Massa's recovery can be attributed to psychological acceptance of how good Alonso is, and of what his role is in the team these days, allied of course to the confidence that comes with improved results (indeed, after claiming his first podium finish in close to two years in Suzuka last year Massa seemed instantly to grow a few inches taller). Of course, such is the way of things at Maranello Massa will likely have to subjugate many of his own ambitions to the assistance of Alonso's title effort in 2013. 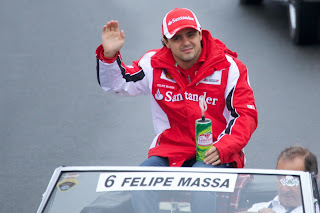 And the Scuderia will hope that Massa drives in 2013 a lot like he finished 2012: quick enough to get into the front-running mix, to take points off Alonso's rivals, to score big on days that Alonso falters and to score well the rest of the time. And it's no wonder, you could argue that had Massa started 2012 in the sort of form that he finished the year it might just have been enough to tilt the drivers' championship battle in Alonso's favour. But to some extent it all begins again for Massa at this season's outset: was the improved form in late 2012 down to a genuine breakthrough, or was he like a tennis player two sets and two breaks of serve down, who suddenly loosens up and starts to hit winners? Demonstrating good form from the get-go in Melbourne will be an altogether new challenge. But it cannot be denied that things are looking a lot more promising for Massa than they have for some time; his performance late in 2012 is a fine basis on which to build. And Ferrari has the gratification of going into the 2013 year with few worries resultant of its drivers. Either of them. I found lots of interesting information here. The post was professionally written and I feel like the author has extensive knowledge in this subject. Very Enjoyable! I hope you write more on this subject!